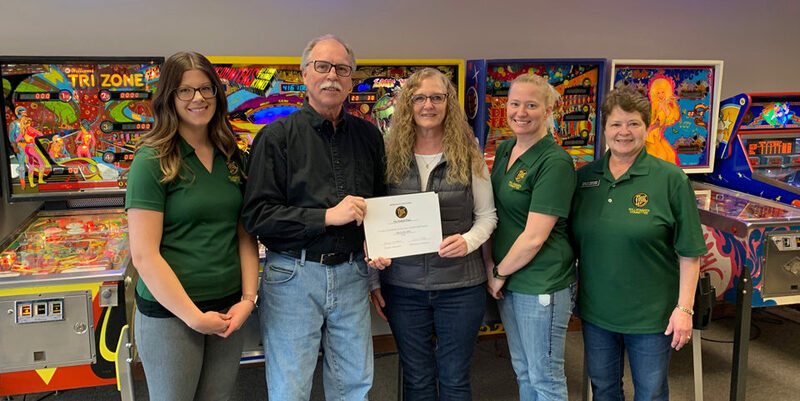 Theresa Keaveny has become a new member of the New Ulm Area Chamber of Commerce, and the Willkommen Committee met with her recently to welcome her. Theresa is the new Executive Director for the Sustainable Farming Association (SFA). She was most recently the Office Manager at the Brown County Museum, but she has a rural community/agricultural background, so this is a great fit for her. The Sustainable Farming Association of Minnesota supports the development and enhancement of sustainable farming systems through farmer-to-farmer networking, innovation, demonstration, and education. This is a state-wide 501c3 organization, and Theresa will be able to keep offices here in New Ulm. She is hoping to connect professionally with more chamber members here in the area and wants to let the community know about the services the Sustainable Farming Association offers. To learn more, visit www.sfa-mn.org. Welcome, Theresa! 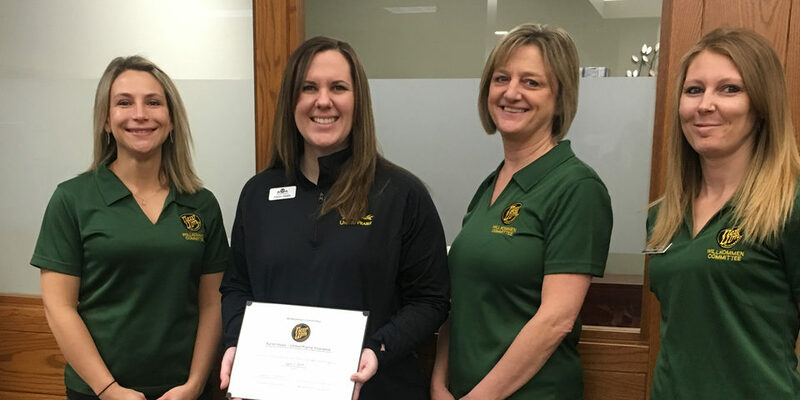 In the photo are: Randy Schroeder, Frandsen Bank & Trust; Theresa Keaveny, Sustainable Farming Association; Sandy Scheibel, Kemske; Kathy Van Roekel, NU-Telecom and Chamber of Commerce Board Chair.